Most students prefer rote learning over understanding the matter that needs to be studied. Even though they are aware of the other ways of studying they overlook it under the assumption that these are time-consuming methods. Little do they know about its effectiveness because these methods work best if implemented at the beginning of the term. 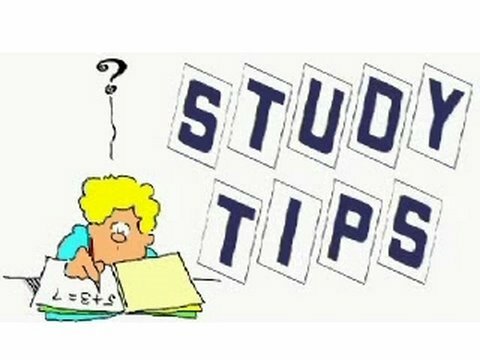 So if you wish to find out how these 8 Simple but effective study tips work the only way is to implement them at the start of term. While attending classes you need to make a note of only the important points but focus more on listening to what is being taught. While studying making notes helps a great deal. When making notes you can either use stick – ons or prepare notes in the text itself. It is preferable to make notes or place stick ons beside the topic studied. After reading a paragraph make a note of all the points discussed. Some students prefer to underline important points in pencil while others prefer to use highlighting markers for the points that seem important to them. Apart from highlighting the points you can also list out the points that you feel or think are important on a separate piece of paper or in your study notes. If possible prepare drawings that highlight the main points discussed in the topic. Once you have listed out the points you can even form a hierarchy based on the important points. For topics that discuss a process of things it is preferable to create a diagram that shows the different processes, if there isn’t one. Nevertheless it is preferable to refer to the diagrams that are there in the text itself. This works best for subjects that have diagrams to be remembered such as Biology, Chemistry, Physics and Geography. Applicants can also use flow charts to highlight the various processes involved. Ensure that you learn these diagrams as a simple picture can give a fair explanation of the topic thus it helps in remembering the material better. For subjects like Mathematics, Algebra, Geometry, Trigonometry, Physics and Chemistry that have formulas or chemical compositions to remember preparing charts is the best way to remember such material. But if one wishes to remember formulas preparing a chart with the formulas that you need to remember will save time when you have to revise the formulas alone. Several psychological studies that were conducted highlighted the fact that repetition is the best and the only way to learn and memorise the matter that needs to be remembered well. By revising the matter on a regular basis it ensures that the topic is learnt and remembered. Thus enabling students to recall the learnt matter when needed. For subjects that require Arithmetic calculations like Mathematics, Algebra, Geometry, Trigonometry, Physics and Chemistry the best way to prepare is to practice, practice and then practice some more. But before you solve question papers it is preferable to finish and master the problems given in the reference book. You can also practice solving problems from question papers. Therefore, “Practice as if you are the worst, perform as if you are the best” – Jaspher Kantuna. Although most of these methods seem to be time-consuming; if practiced are sure to improve your grades in the long run. Even though they seem to be tiresome tasks they come in handy because they reduce the time spent in searching for the matter; to study for an up coming test or an exam. for more tips you can visit our website www.careerfutura.com.